Questions on this Kohler Model? 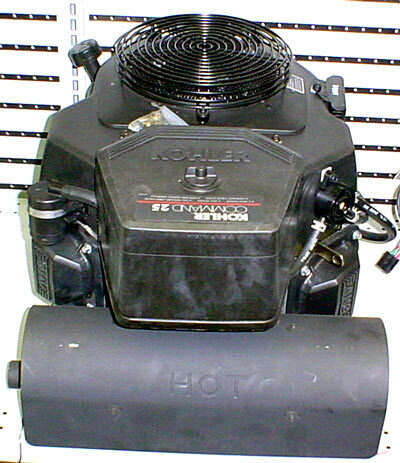 The kohler CV27S V-Twin Cylinder, 4-cycle, vertical shaft 27 HP engine has reliable features, including: OHV, hydraulic valve lifters, full-pressure lubrication, cast iron cylinder liners, and aluminum block construction. New Haven Power Equipment is an independent dealer not affiliated with, and has no direct relationship with any of the manufacturers. The product photographs and/or descriptions contained herein are excerpts from the product catalogs of the manufacturers, and these manufacturers retain all copyrights and other ownership rights of such materials. The artwork and enhancements of the photographs for internet use may not be reproduced in any manner anywhere on the Internet without the written permission from New Haven Power Equipment.